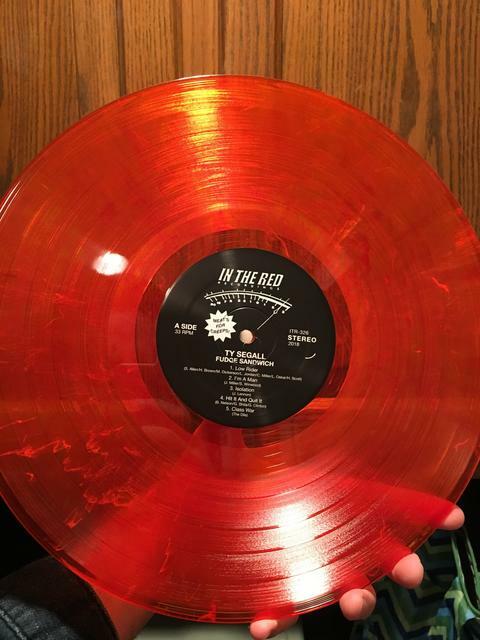 ISO a reasonably priced copy of Fudge Sandwich on Brown vinyl. Thank you. I got orange as well. Wheres the brown one from? Dr.Zissou wrote: I got orange as well. Wheres the brown one from? ITR as well. Both were sent out together as the "limited vinyl." Yellow wax was with Rough Trade UK. Now sold out. I’ll have to check my second copy to see what color it is. Your link isnt working for me. Oh my! Wasn't expecting that.. I do really enjoy the song though. Looking forward to the album. Who sent me the Fly Like A Beagle Reel? Sorry, I can't remember. PM me please. I wonder if it’ll get a physical release or if it’s part of a larger live album. In 2018, Ty Segall and the The Freedom Band -- Mikal Cronin, Charles Moothart, Emmett Kelly, and Ben Boye -- stormed the world in support of Freedom's Goblin, playing songs from Ty's catalog in a series of ecstatic setlists. Each night, they sought freedom for themselves and the audience, even it if was just one night of emancipation from the world's numbing chill. Then they went and did it again the next night! That blunt-force impact of The Freedom Band in full effect is being presented via Deforming Lobes, coming March 29th! 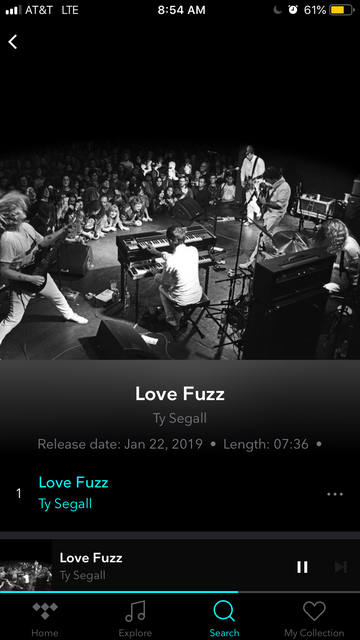 Get an early kiss on the ear with "Love Fuzz." LISTEN TO "LOVE FUZZ" NOW! Recorded live on stage at Los Angeles' Teragram Ballroom via mobile unit onto two-inch tape and mixed at Electrical Audio with Steve Albini, Deforming Lobes updates (and upends) numbers from Melted, Emotional Mugger, Twins, Manipulator, $ingle$ 2 and Ty Segall. From the start, the "Warm Hands" suite shows the growth of the group since recording the original version for the 2017 Self-Titled album. The feeling between audience and band at those shows was its own special thing; here, the band is somehow even more front and centre, exploring every song with an unrestrained curiosity and fervour, never forgetting the collective experience they're sharing. Following Freedom's Goblin, the epic double-LP that took the heroic arc of Manipulator and wadded it up into a much more aerodynamic (and harder-hitting) ball, Deforming Lobes is the first original statement from The Freedom Band, bookending the Goblin experience with an exclamation point. Relieve those idle hands and preorder now! It's pretty easy to get Ty's autograph at most shows but in case your lazy or possibly oversea's this website is selling "Twins" or "Freedoms Goblin" lp's signed by Ty.. Wish they were signed by the whole band.. Wha?! This is a shop in Stl....when did Ty come to STL? !